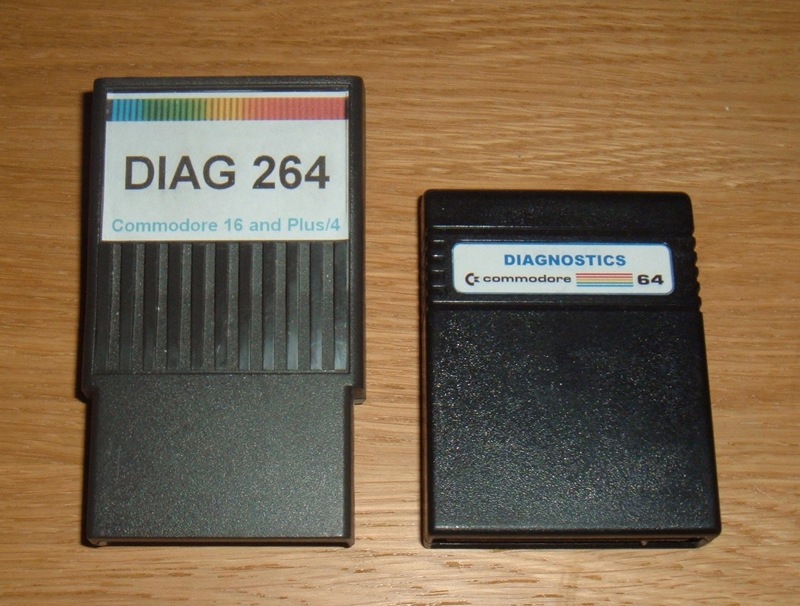 A while ago I made up a Diagnostic Cartridge for a Commodore 64, by replacing the ROM in a spare Cartridge. 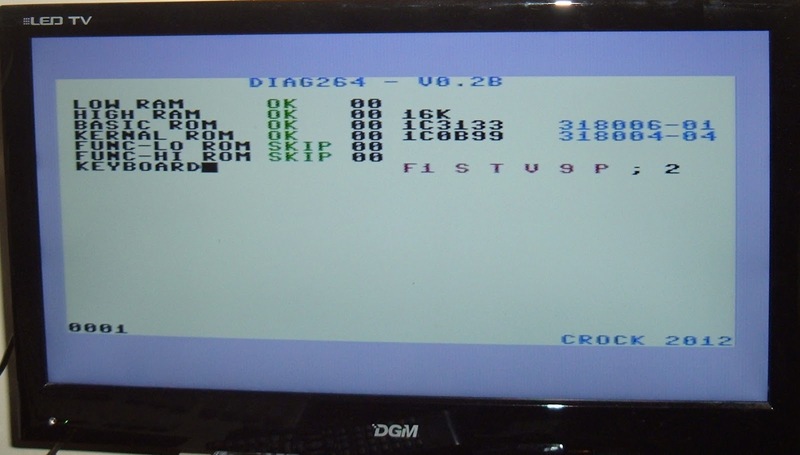 I've have a few Commodore Plus/4 computers in for repair, so I looked around for a similar ROM image for the 264 series of computers. I found and excellent page from someone who wrote their own, Diag264. 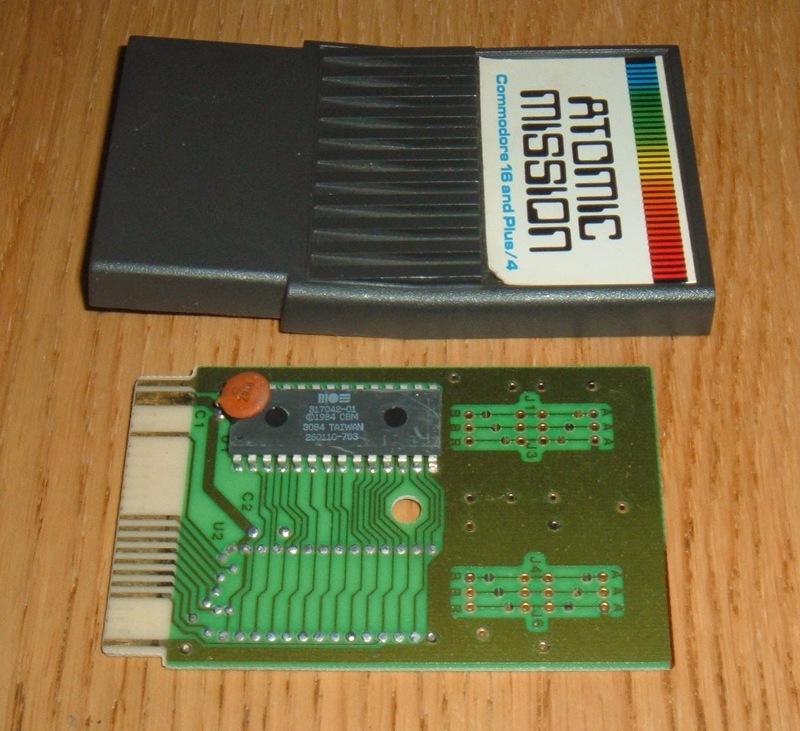 Next I found a donor cartridge, in this case a duplicate 'Atomic Mission' with a peeling label, and carefully removed the original ROM. 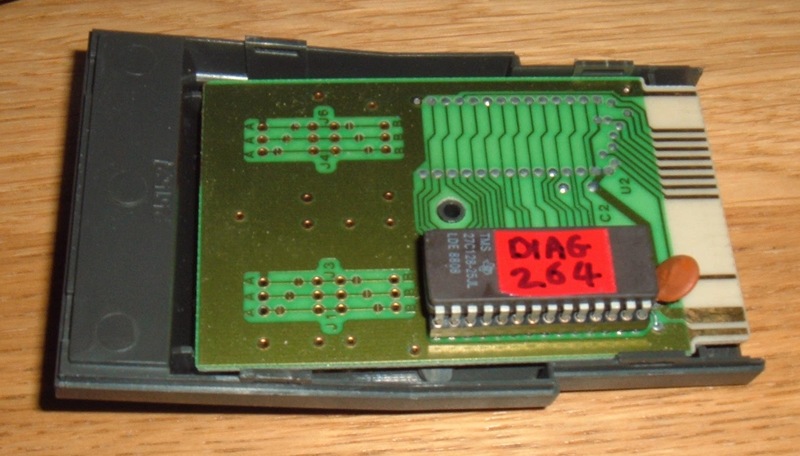 I then burned an EPROM with the DIAG264 image and installed it in a socket on the original board. Finally, it needs a suitable label. 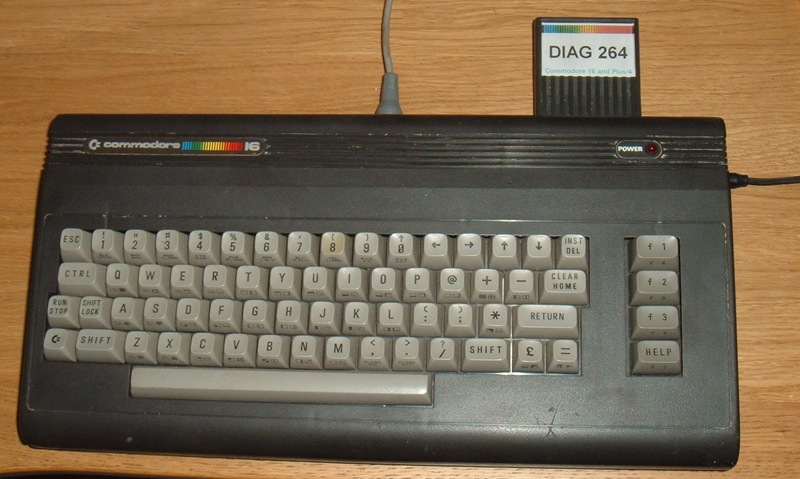 This can then be used with any of the 264 series computers, the Commodore 116, the Commodore 16 and the Commodore Plus/4. 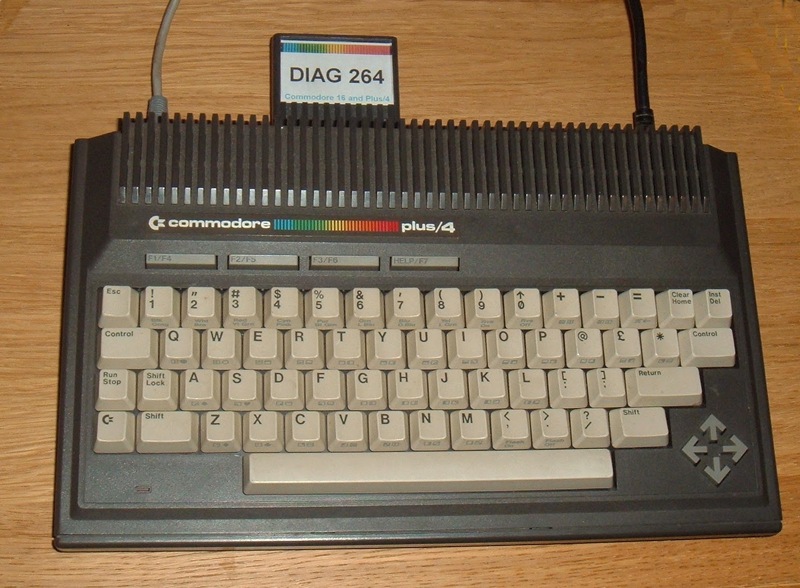 The Commodore Plus/4 never really took off, it wasn't compatible with any of the Commodore 64 software, nor many of the peripherals due to different connectors being used for cassette ports and joysticks. It did have some built in software (the 'Plus/4' in the title), but I've not used those much. 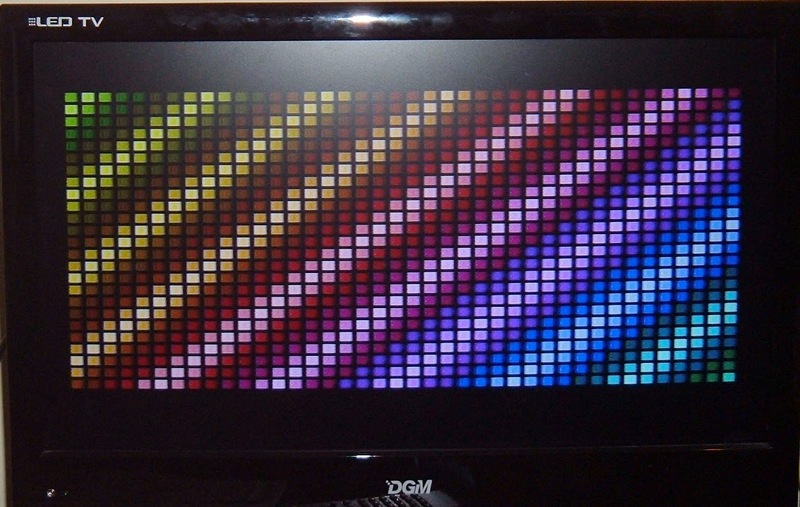 DIAG264 tests the RAM and the 4 ROMs in the Plus/4, as well as various other hardware. Some of these test fail as I have yet to build suitable loopback adapters required for some tests. 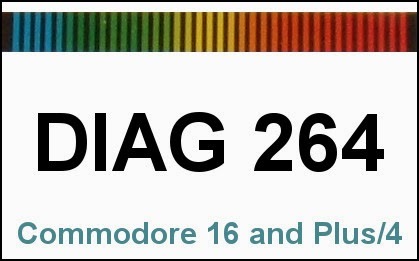 Although in the same case style case, the Commodore 16 is not as it may appear a cut down version of the Commodore 64, but in fact a cut down version of the Commodore Plus/4, and so was also not compatible with any of the C64 software. Testing skips the two extra ROMs present only in the Plus/4. 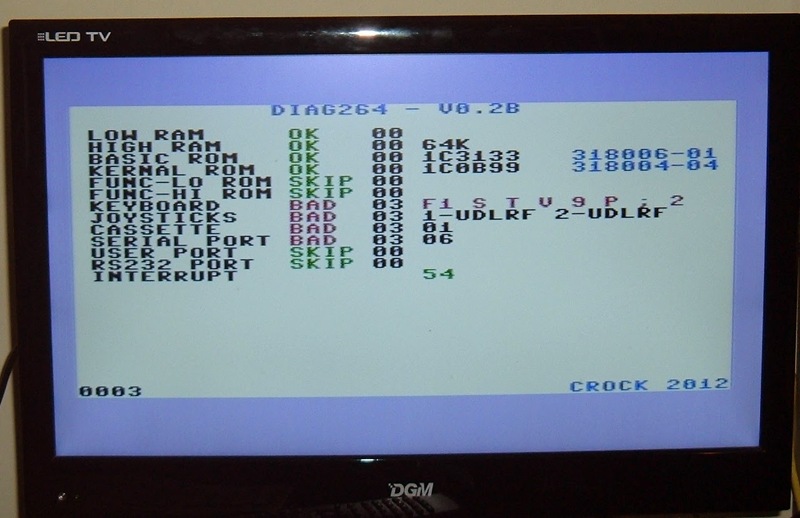 It also correctly detected my Commodore 16 which I have upgraded to 64K (which means it can run Plus/4 software, but I still can't call it a Commodore 64). Finally it includes various graphics tests for the TED chip at the heart of all these 264 series machines. 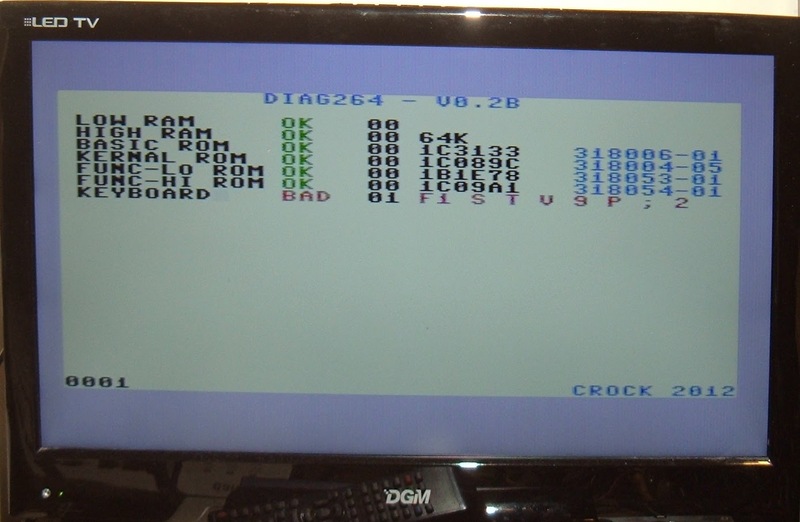 So there it is, another test cartridge to add to the toolkit, with thanks to the original author of DIAG264.